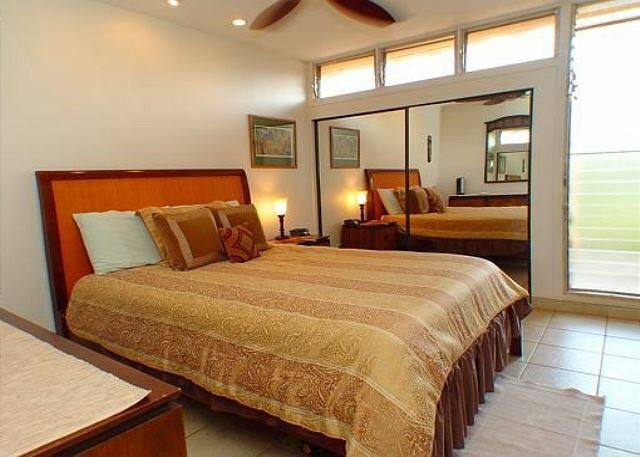 Kulakane Resort is a West Maui vacation rental property, located just a few miles north of historic Lahaina Town. Each vacation rental property is professionally managed and superbly maintained to the highest standards. Your Maui vacation can be enjoyed in one of our beachfront one-or-two bedroom condos which come fully furnished and equipped for your vacation. Each oceanfront condo at the Kulakane Resort is unique because it was furnished and decorated by its individual owner. Individually decorated, each condominium offers a complete kitchen, free cable TV and free local telephone. 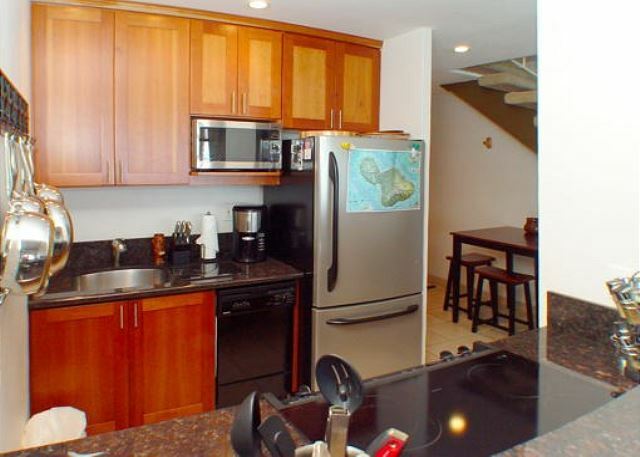 Kulakane Resort offers beautiful and affordable West Maui vacation rentals. 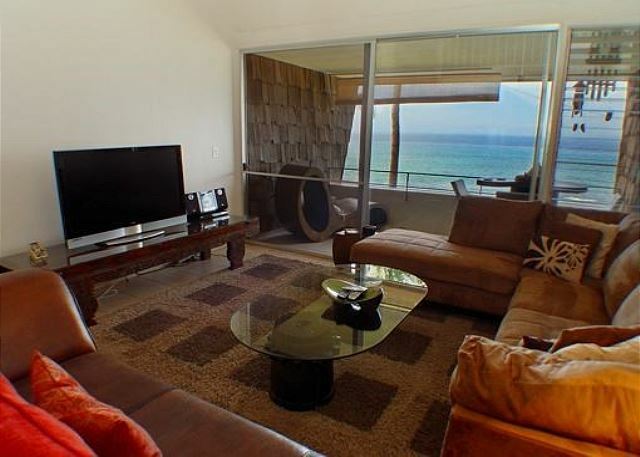 All of the condos at the Kulakane Resort are located beachfront and offer a direct ocean view. We combine all the comforts of home and make Kulakane Resort your Home away from Home in paradise. Kulakane Resort owners typically stay in their own units for at least a month or two each year, so they furnish their condominiums more like homes than vacation rentals. We booked the condo in last minute and enjoyed it very much! Spacious, clean and the view! Sleeping and waking up with sound of ocean is therapeutic and relaxing. My family loved everything about the condo! Will definitely coming back! Highly recommend the place. Loved the view from the unit. Deb the manager is fantastic. My only complaint was the outdoor furniture was horrible. It looks great in the picture but it is the most uncomfortable furniture I've ever seen. You could not sit outside and enjoy yourself for any length of time. This my 4th visit to the Kulakane and I will be back again, I will choose another unit for my next visit. Luc & Mary D from Emerson manatoba, N/A does not recommend this vacation rental. Our experience was good, however we were very dissapointed with unit 303 itself. We should have done more research & but the unit was not in the condition the pictures showed! A lot of repairs had to be done, including screen that was dislodged from frame. Outside patio door handle was falling off. Electrical outlets replaced, fan not working. Furniture very outdated and should all be replaced, updated. Slat windows and screens need attention. Rug in living very old and dirty. We cleaned and washed the entire unit ourselves and rolled up the carpet & placed it behind the couch. Covered all couches with bed sheets, as they needed cleaning. If the unit was updated with new furniture and a general sprucing up, we would recommend it, but cannot recommend it in the shape it is in now. Debbie & Tony were great! They were helpful and were receptive to our problems. The location is awesome! We loved our vacation, everyone we met on the property were extremely nice. I most likely would return, however Id like to see the property or at least the unit we stayed in (303) updated... A bit outdated.. ?But we were satisified overall. Perfect location, close to the market and rental shops, AMAZING snorkel location right outside, perfectly relaxing. Overall a good experience in #303. The property’s general condition is showing its age as it approaches 50yrs. Not a show stopper but noteworthy. A significant portion of the poolside patio was covered with a protective fabric due to sinkhole issues (so I was told by a long-time visitor) and there appears to be a great risk of further sinkhole damage to the rest of the beachfront patio areas. The onsite property manager was active daily with tending to cleaning pool, surrounding areas, grass, etc.. A new roof was being replaced a few days after our departure so that’s a good start I presume. The major attraction here is the oceanfront and it did not disappoint the least! The unit itself was good. Spacious for our family of four adults. My only complaint was that the choice of lanai & dinner table furniture – utterly uncomfortable if you wish to sit and enjoy a drink, sunset, meal etc. Inside, no chairs with backrests. As a family, we like to sit and linger around the table but with only stools to sit in it was not comfortable at all. The king/queen beds were incredibly comfortable! Plenty of closet and dressers for use. Washrooms were both clean and operating just fine. Kitchen had everything we needed and a bit more. The property had two immaculate Weber four burner BBQ’s - loved it! Laundry facility came in handy since we were there for two weeks. I enjoyed visiting the management office daily to read the white board and see who was visiting from what part of the world. Thank you for a memorable vacation. a guest from Sammamish, WA does not recommend this vacation rental. Condo looked much nicer in the photos. It was in the mid eighties everyday we were there and the lack of A/C was pretty unbearable. There were extra fans provided, some didn’t work or were so weak they were useless. Geekos in the room - although I hear that it is common here. Worst part about the condo is the furniture on the lanai. I read past reviews about how uncomfortable this furniture was but OMG- cheap plastic chair set would have been a huge improvement! Shag carpeting on stairs and entire upstairs is nasty. Not the worst place I’ve ever stayed but the heat was insane! What you do get is a fantastic view from every room and quick easy access to the ocean just steps away! Although we were on Maui to work, it helps that the place that we are staying at after work is comfortable. This rental unit was nice, pleasant, comfortable and clean. The accommodations were good, but would have been more comfortable if this place had air conditioning. I think it would be good if you had a single sofa bed sleeper and a full sofa bed sleeper in this unit. We enjoyed our stay. Really liked working with the managers they are a very fun welcoming couple. We stayed 24 days in 310 and only 4 nights in 303. This location is perfect and such a nice property. This particular unit is basically fine just needs a little updating. The lanai needs more comfortable furniture. The manager there is excellent and quickly takes care of any questions or problems you may have. Love this area. Been to Maui 8 times and The Kulakane is our 'go to' palce. My Mom and I had a great time at your property.The property was in excellent condition. We have stayed in this unit more than once before, and have never been disappointed. 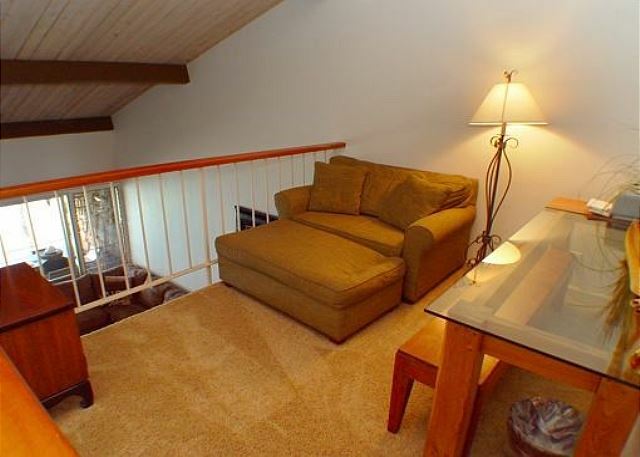 The unit is nicely furnished, clean, and has everything that we've needed. 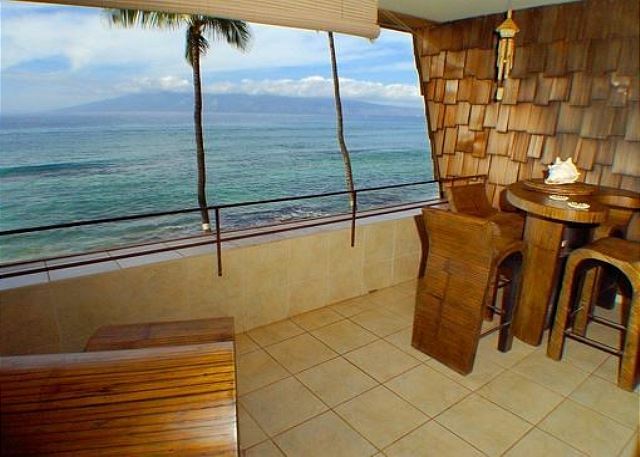 We love to watch the turtles and whales (in season) from the lanai...you just can't get much closer! I'm sure we'll be back! Beautiful view and location ! location good. Scenary is also great. Although We arrived late , staff was waiting for us. She welcomed us. We loved our condo, it was well stocked with more than we expected (toiletries, kitchen items including cleaning supplies, beach items, even some snorkeling gear, beach towels, and a pantry with some basics like salt, sugar, a few spices, tea, sunscreen and even some beer! The ONLY issue we had was the floors looked clean, but our bare feet very quickly became black when walking inside, especially on the area rug. Easy to remedy with a deep clean of all the floors. It was a small thing considering we spent most of our time on the amazing lanai looking at the breathtaking view and feeling the trade winds. It was easy to walk to shops, food, coffee, and the park/large beach. LOVED THIS PLACE AND WE WILL RETURN ! The mother-daughter-granddaughter trip to Maui was wonderful. The location was excellent to beaches, a market, and close to highway 30. We were 50 feet from the waves crashing into the sea wall. We saw sea turtles and even a couple of whales breaching in the distance. The unit was well stocked and Debbie greeted us and helped with our needs. The only negative thing we found which wasn't a big deal was the dishes were very old. They looked like my dear grandmother's who would never toss out anything unless it was broken. It was a great stay and we'll go back to Kulakane. We loved our first trip to Maui. The condo was a perfect choice for us. I loved the piece and quiet as well as the beautiful view. There were numerous turtles to watch from our lanai and the whales were really active, also. I would strongly recommend this property. The lanai was a lovely space to enjoy meals, sunsets, local turtle life, and whales leaping in the distance. Beautiful view to compliment the apartment. We love our stayed at the wonderful property twice and every time we can't get dissatisfied. This time they let us checked in early and is just so welcoming that you felt in love with the staff and with the neighbors around. Debbie is great the coffee pot had a hole they just gave me a new one. My rental car broke on me Tony did everything he could to helped us. Is just an amazing please and wonderful people. Hi highly recommend that if you get to go to Maui or Lahaina to be exact you will be very happy to stay with them in any of the units. ? ?